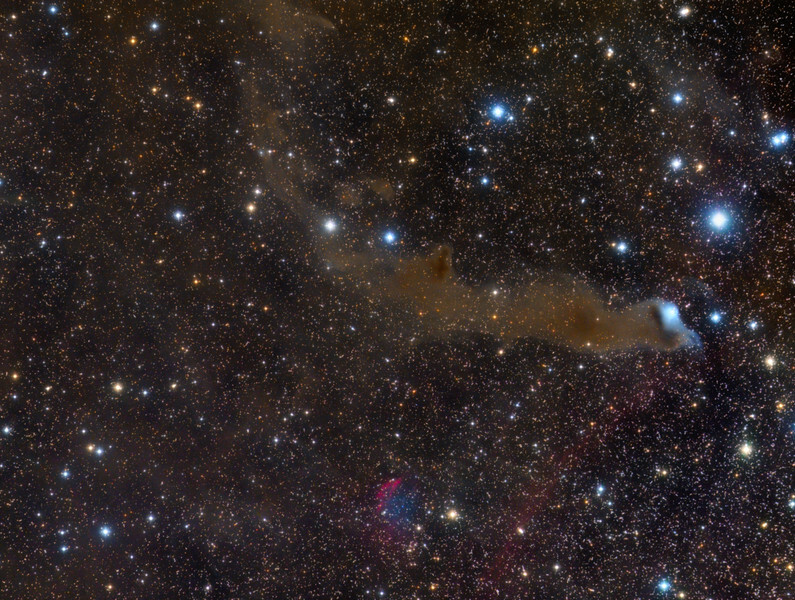 Described as a dusty curtain or ghostly apparition a mysterious reflection nebula VdB 152 really is very faint. Far from your neighborhood on this Halloween Night, the cosmic phantom is nearly 1,400 light-years away. Also cataloged as Ced 201, it lies along the northern Milky Way in the royal constellation Cepheus. Near the edge of a large molecular cloud, pockets of interstellar dust in the region block light from background stars or scatter light from the embedded bright star giving parts of the nebula a characteristic blue color. Ultraviolet light from the star is also thought to cause a dim reddish luminescence in the nebular dust.